The monsoon season in Vietnam made flying tough. Every day there was rain, overcast and low visibility, which made it nearly impossible to get from airport to airport using Visual Flight Rules (VFR). So we used other means. 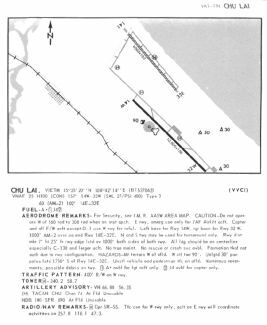 The FAA has very sophisticated enroute radar control that allows airliners to fly all over the U.S. with Instrument Flight Rules (IFR). But in Vietnam the civil enroute air traffic controllers didn't have radar. 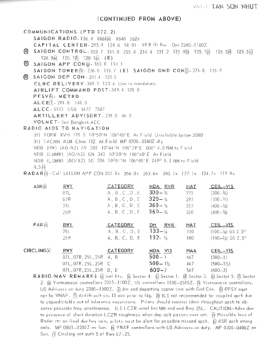 Instead, IFR was done the pre-radar way based on aircraft reporting over various navigation aids. This meant that very few aircraft could fly IFR in the same airspace at the same time, so IFR departure delays of up to four hours were typical. But the Air Force didn't wait for civil aviation rules in Vietnam. Instead, we used "Tactical" Visual Flight Rules. Flying TAC VFR meant using visual flight rules in instrument meteorological conditions. If this sounds like an oxymoron, it was! The civil air traffic controllers didn't have radar, but the Air Force GCI (Ground Control Interception) guys did. In good weather they used radar to direct air attacks on specific locations. In bad weather they did advisory radar flight following for guys like us flying TAC VFR. 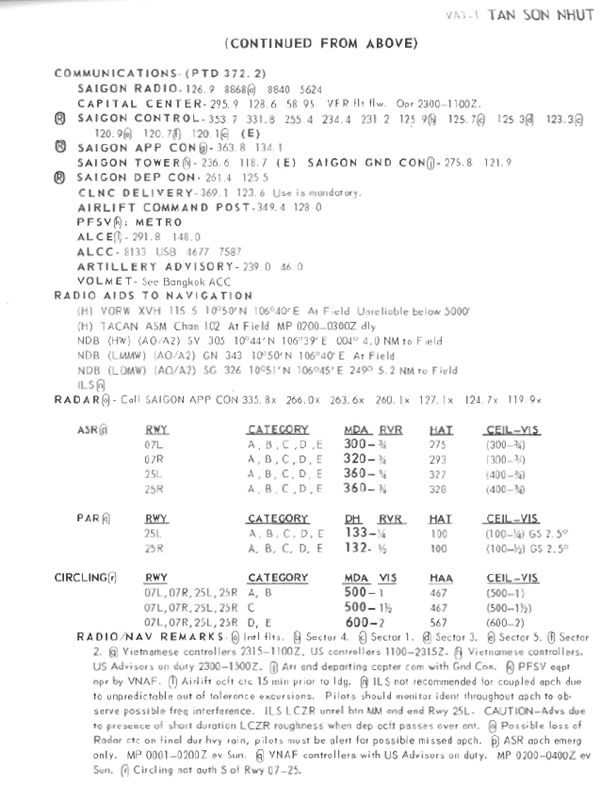 There were GCI sites in Saigon (call sign Paris), Ban Me Thuot (call sign Pyramid), Nha Trang (call sign Port Call), Danang (call sign Panama), Binh Thuy (call sign Paddy), and others. The good news was that the GCI controllers' radar could see aircraft quite effectively in the weather. The bad news was that the controllers didn't have information about all flights. And their radar had no information about what altitude the traffic was using. Panama might call us and advise, "Fast mover northbound at your 12 o'clock, 2 miles, non-beacon." This meant that there was an unknown jet directly ahead of us with no transponder information. It may have been thousands of feet above or below us, but we couldn't tell, so we had to take immediate evasive action. Theoretically, IFR-assigned altitudes provided vertical separation between IFR and VFR (and TAC VFR) traffic so long as you were in level flight. Aircraft flying IFR were assigned altitudes at thousands of feet, e.g. 4,000' (flight level 40). VFR and TAC VFR rules said to fly at thousands of feet plus 500, e.g. 4,500'. 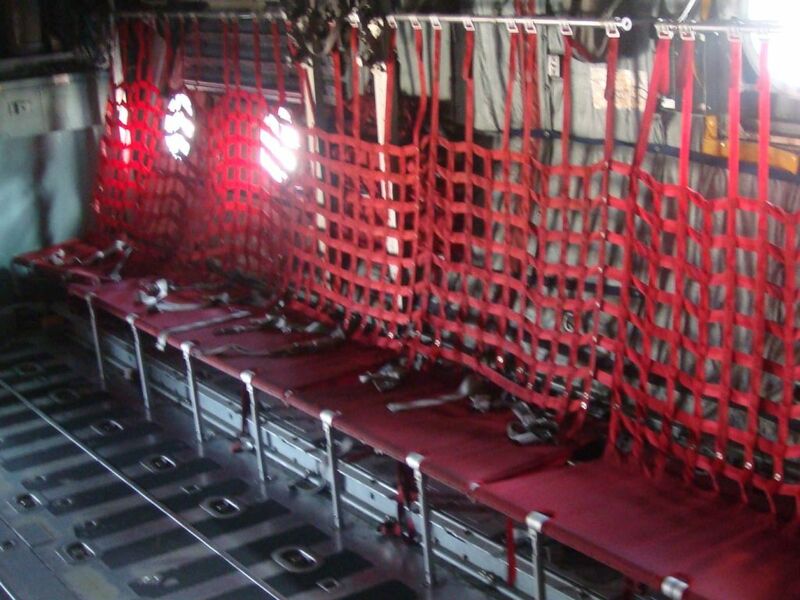 (In the weather Army helicopters made up their own convention, flying at altitudes of thousands of feet plus 250', e.g. 4,250', which they called flight level 42.5.) When flying TAC VFR, I tried to find a cruise altitude above 10,000', which was above most helicopters, unpressurized aircraft, and piston-engine aircraft. All in all, TAC VFR was an effective but risky method of getting from place to place in the weather. Approach and landing at the destination was a whole different ball game. Most airports had published instrument approaches that gave us a path to descend safely in the clouds to a specified minimum altitude. If at minimums we had the runway in sight, we could land. If we couldn't land safely, we followed the published missed approach procedure and climbed out again. Large airfields had precision approaches that allowed us to fly down to 200' or even 100' in the clouds. 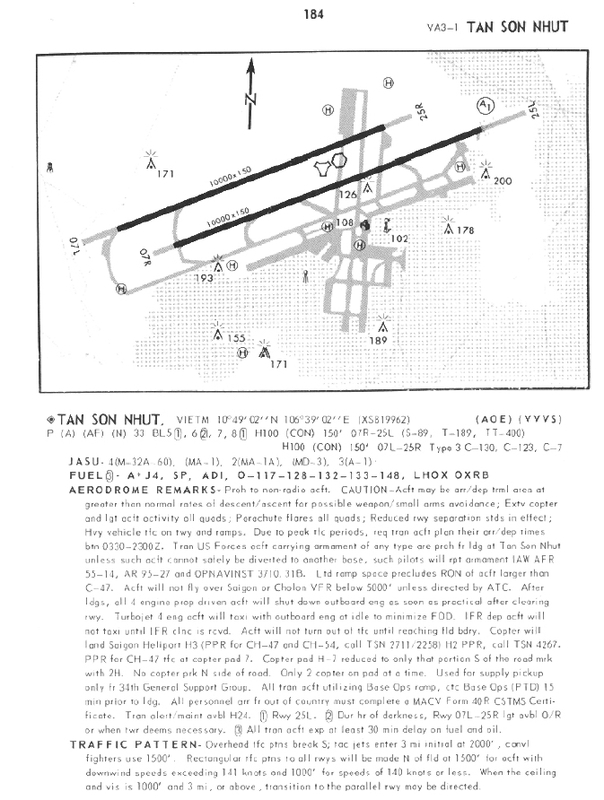 At medium-sized airfields we could use radio navigation aids to descend to about 500' above the ground. Small fields typically had no navigation aids. 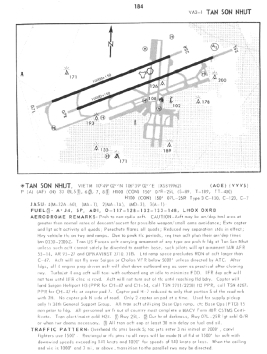 The weather was lousy that day and as soon as we departed Tan Son Nhut, departure control told us that the field was now closed because the ceiling was below landing minimums (100'). At nearby Bien Hoa we picked up 80 Marines who had arrived in Vietnam just the day before. They were replacement troops for one organization, so this was considered a "unit move". That meant that they didn't get to enjoy our luxurious bucket seats. Instead they were "combat-loaded" onto pallets with tie-down straps for seat belts. I believe this was to welcome them to the combat zone and help them make their brand-new jungle fatigues look less brand new. 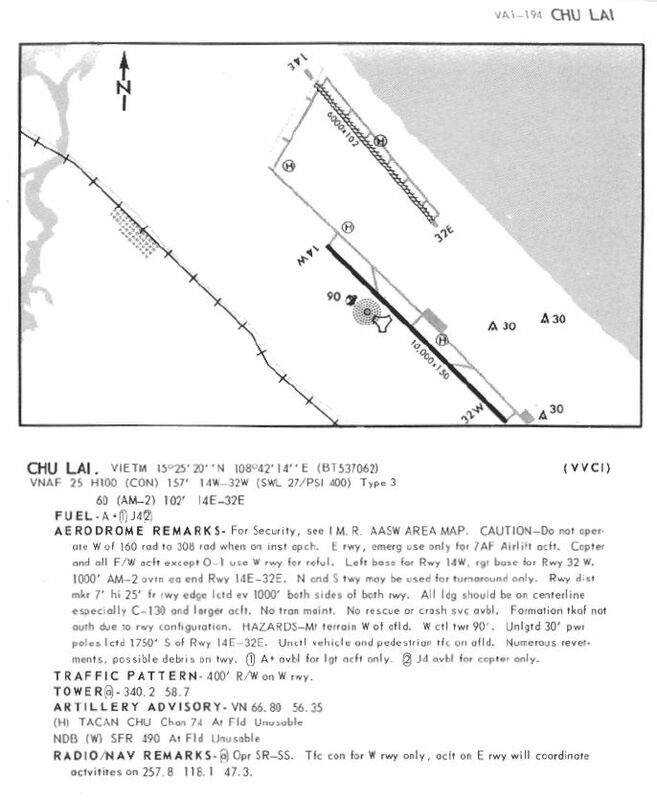 We flew TAC VFR to Chu Lai, where approach control eventually picked us up on radar. They gave us a GCA (radar ground-controlled approach) so we had precision radar guidance all the way down. We broke out of the cloud layer at about 250', but unfortunately they hadn't aligned us with the runway and we couldn't make a safe landing from that position. So we followed the missed approach procedure and climbed back into the clouds. This down-and-back-up stuff was probably pretty disconcerting to our green-bean passengers, who had probably never done a go-around or missed approach before. But we'd done it hundreds of times and it was pretty routine. We told approach control how they had aligned us so they could adjust on the next try. The weather had apparently gotten worse, because this time we descended in the overcast all the way to minimums--200' above the ground. We couldn't see anything but clouds, so we went missed approach again. We gave up on landing at Chu Lai so we called up our Airlift Control Center and asked where we they wanted us to take our passengers. They told us to go to Cam Ranh Bay. So that day our passengers flew with us 300 miles up to Chu Lai, endured two missed approaches, then flew 200 miles back down to Cam Ranh Bay. Maybe you could call that 100 miles of progress--welcome to Vietnam, guys! That day we returned from Cam Ranh Bay to Tan Son Nhut and the weather was still bad there. Approach control called it a 300' overcast so they gave us a non-precision approach, which allowed us to descend to 300' above the ground and didn't require a radar controller. At 300' we were still in the clouds so we had to go missed approach. Obviously the ceiling was well below 300'. Next they revised the weather observation down to 200' overcast and gave us a precision GCA down to 100'. At 100' above the ground we still didn't see any runway so we went missed approach again. Obviously the ceiling was well below 200'. On the third try we broke out of the weather at 100' above the ground and landed OK. Whew! Can you imagine an airline doing this?